Trévo’s philosophy of giving back into the local and global community is a reflection of the attitude and passion of Mark and Holli Stevens, founders of Trévo. This couple is dedicated to providing a helping hand to the underprivileged, the homeless, and orphans. Mark and Holli are on a mission to create a culture of getting involved, of living to give. This passionate dedication has resulted in ongoing relationships with a number of wonderful charitable organizations. We believe that a spirit of giving is not just about financial help, but also involves investing your heart and your time. It is about leaving a mark of positive influence on the world around you. It is about looking beyond creating wealth simply for the sake of material gain, but using that wealth to share blessings. At the heart of Trévo is this philosophy: Look around. When you see a need in the lives of others, use the prosperity that this company has helped you create to change the world around you. We encourage you to embrace this spirit of charity and allow it to open your eyes to the bigger picture of what we were each created for. Make the decision today to join us on our mission of creating a legacy of loving people who are making a positive impact on communities around the world. Trévo is dedicated to uniting people for a greater good. Life and Health Coaches who achieve Black Diamond Executive level and above are rewarded with shares of Trévo’s remarkable Charity Pool Bonuses. These shares are distributed as donations to the charities specified by these leaders and will be made in the name of the participating leader. 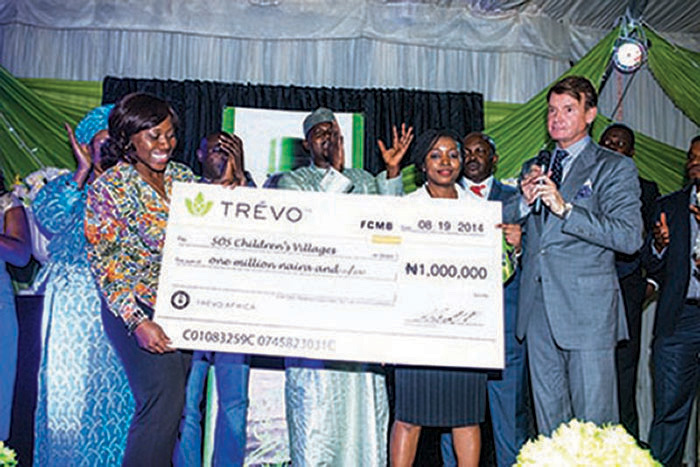 The benefit of Trévo’s Charity Pool Bonus Program is two-fold. First, these charitable donations actively help make the world a better place. Second, they highlight participants as successful entrepreneurs who support their communities on both a local and a global level. Do you have a charity project that you would love to see Trévo make a donation to? We would love to hear about it. Please fill out the form below and someone will contact you. However, to be considered please make sure and fill out the form completely and thoroughly as we will need lots of information to consider donations.